You can feel it running through the mist-strewn gothic tombs and the haunted, midnight streets of the Crescent City. It stirs the dust into swirling torrents across the reddened-sky, coyote plains of the Southwestern desert. It thunders through the multi-colored trees, soaking the thunderclouds in the Appalachians. A rumble building to a roar. A clamor for a hero to emerge– a man of folklore. A rebel to reawaken the resistance that forms the backbone of the people of this nation. A man of blackened leather, motorcycle steel, silver, ink, and iron. Wind rushing through his hair, his back turned away from the powers of “the man”, his eyes set upon the open road, and freedom, and spirit. 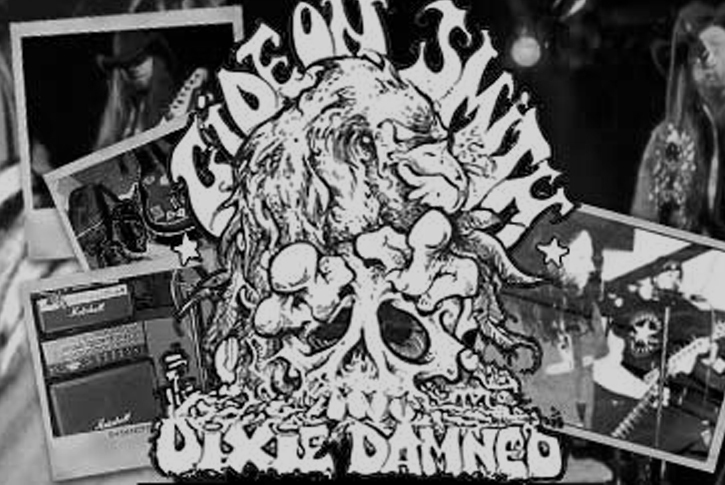 Through the course of his many albums with his band The Dixie Damned, his book, “The Way of the Outlaw Spirit,” and his spoken-word poetry, Gideon Smith has risen out of the dust of the crumbled American dream and assumed a nearly mythological status. It isn’t every musician who commands the respect of his peers to the point of having a tribute album done in his honor after releasing just a few songs. Nor is it every musician whose verses of rebellion penetrate popular media like the Sopranos, Sons of Anarchy, and Dog the Bounty Hunter; and whose debut album is hailed by Classic Rock Magazine as one of the best 150 debuts of all time. But that only summarizes a part of the man, who wears his complexity like the autumn wears its colors. Gideon is known for his love of the martial arts, cars, motorcycles, ancient history and occultism. He is an outspoken proponent of world-wide religious freedom. He is a spoken word poet, a writer of uncommon honesty and depth. His book “Way of the Outlaw Spirit” is a collection of philosophy and positive thinking, still in accord with his desperado vision. Long out-of-print, copies, when found, sell in the thousands of dollars. People want to hear what Gideon has to say. They always have. On my book shelf, is an 1887 “penny dreadful” novella about Jesse James. Within its tattered pages I find inspiration, just as they did back in the day, when the common man reveled in the stories of outlaws like James; not for the crimes they committed, but for the freedom they represented. As bankers and railroad owners pillaged the masses for their own wealth and gain, the rebellious spirit of Jesse James rose into the sky like a golden eagle. Breaking the bonds of gravity and oppression. James represented a man who wouldn’t conform to the rules handed down by “the man” nor sit back and be raped like the masses. His greatest crime was his unwillingness to relent. His greatest strength was the unbroken soul of his spirit. The spirit that truly defined the freedom that created America. 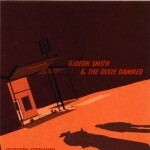 Gideon Smith is that soul. He is that spirit. 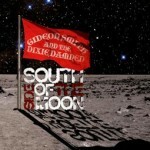 You can hear it in the low rumblings of his Southern Gothic music. You can feel it in the tone of his spoken word. You can see it in the piercing of his eyes. And America can use that right now. As corporate greed and government collusion have risen to all-time levels, America needs a reminder of our inherent, outlaw spirit. Our unwillingness to bow down and take what “they” push upon us. The fight that lives within our hearts, the unbroken open road that lives within our souls. 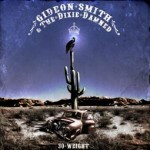 Gideon Smith is that spirit. He is the howl. He speaks for all of us, in words that settle upon us like truth and rekindle that which we’ve lost in smartphones and facebook and McBusiness. A man of this Earth. This land. This sky. It’s in all of us. If we listen.